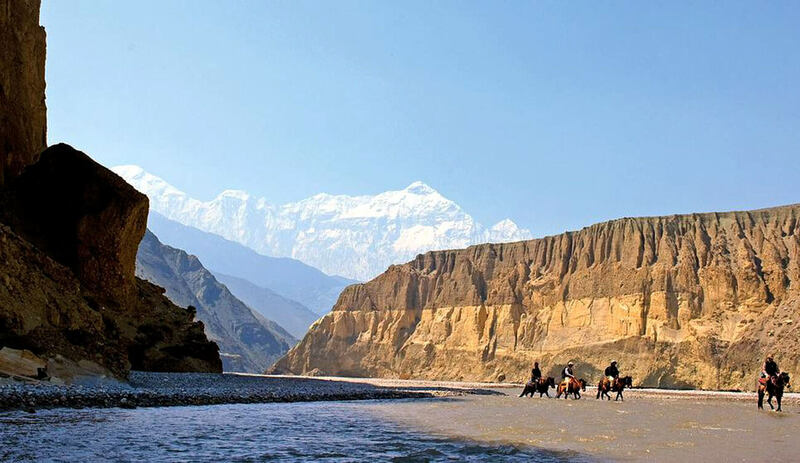 Escape to the beauty of barren landscapes of Mustang! 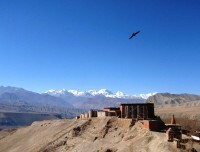 Min Altitude 2720m / 8924 ft.
Max Altitude 4230m / 13878 ft.
Upper Mustang Historical Trekking is unique trekking route situated in the Trans-Himalaya region yet intact with its typical cultural, traditional and archeological beauty and ruled as a separate kingdom until the country became Republic in 2008. Upper Mustang is popularly known as “Lost Treasure of Tibet” or “Forbidden Kingdom” and allowed for exploration by foreigners in 1992 and since then many travelers had been in this majestic land of centuries old preserved natural and cultural treasure. 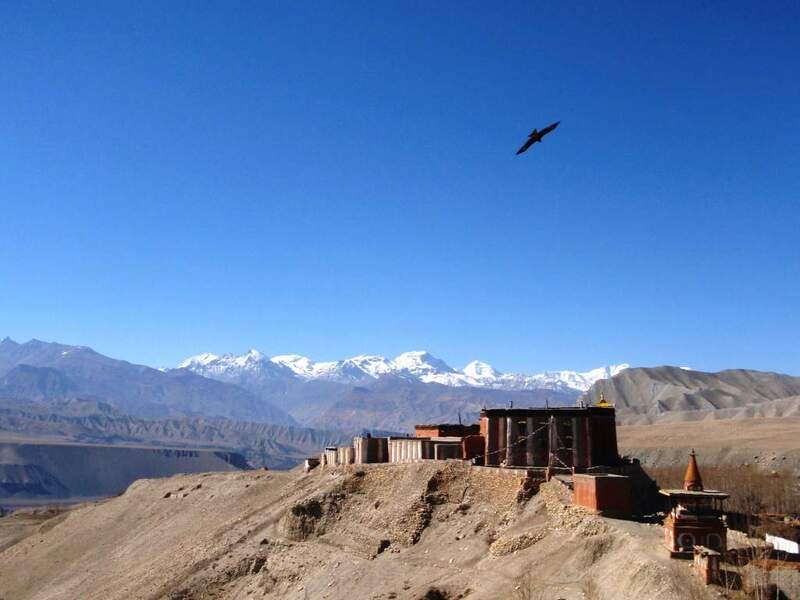 Trekking to Upper Mustang is delightful opportunity to witness the Tibetan- influence lifestyle and their traditional practices like polyandry which still exists there and besides walking around in arid barren valley carved between the giant Mt. 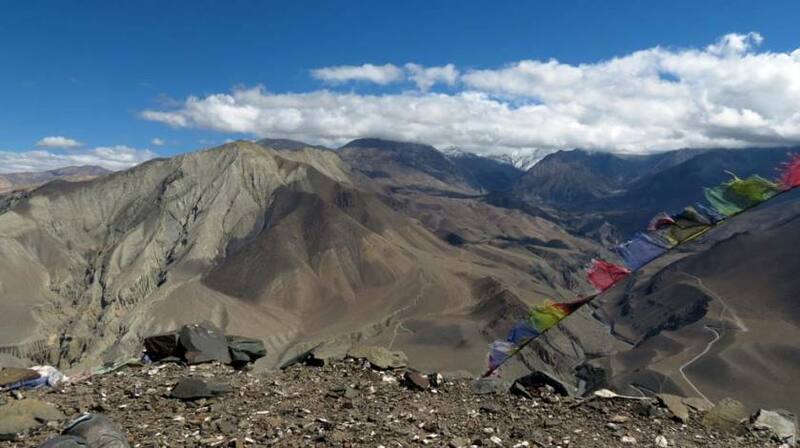 Annapurna (8091m), Mt Dhaulagiri (8167m) and almost thirty other 6000m plus in Mustang trekking course — the major attraction includes visit to the former King’s Palace (can be visited upon request) and watching the inaccessible sky-caves on giant cliffs at Lo-Manthang. Upper Mustang trekking starts with a scenic flight from Pokhara to Jomsom (Mustang headquarter) at 2720m and next two hours walk following Kali Gandaki valley will lead to Kagbeni village– the entrance point to Upper Mustang. 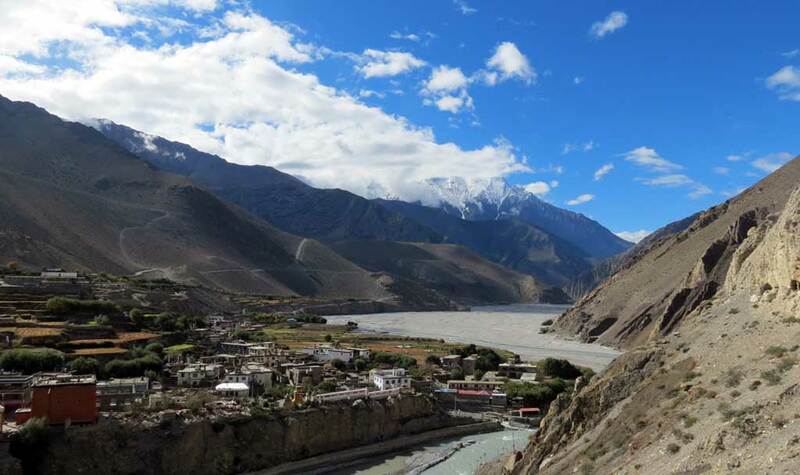 Our journey continues through several passes, Tibetan styled stone-made houses, barley & buckwheat fields, stunning mountain viewpoints, Buddhist chortens and Mani walls on windy dry terrain towards our destination – Lo-Manthang. Our rest day exploration includes a visit to more ancient Buddhist monasteries and Gompas, clicking pictures of eroded cliffs and canyons and observe unreachable sky-caves of the long walls, which perimeters the kingdom. 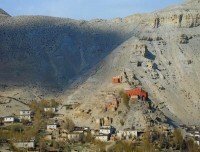 The border to Tibet lies around 6 hours driving distance from Lo-Manthang and used for the trading purpose. 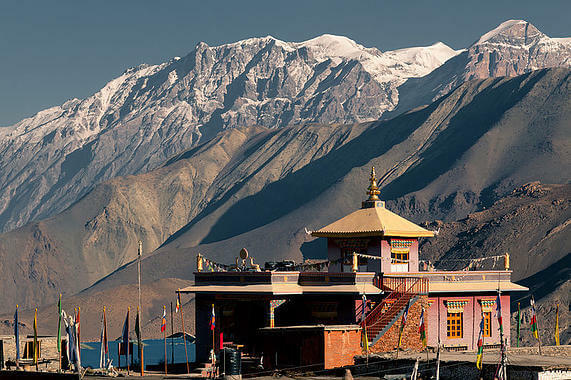 We start our way back following different route via Yuri Gompa and Tetang village towards Muktinath Temple which is one of the major holy pilgrimage sites for both Hindus and Buddhist devotees. After morning visit Muktinath temple, we head towards Jomsom passing through Lubra village and then overnight at Jomsom to catch our next morning flight to City of Lake - Pokhara.